Once upon a time, a vegan wandering alone and hungry on the British high street would have no choice but to buy a bag of ready-salted crisps from a newsagent and wait until they got home before they could eat. Now, it is possible to get a choice of vegan meals on every high street with restaurant chains vying with one another to offer the widest range, and the most exciting dishes. From burgers and burritos to sandwiches and sushi, vegan food is plentiful, varied and just around the corner. Veganuary – the try vegan in January campaign – has worked with many high-street chains to help increase their vegan range, and to encourage vegans, vegetarians and omnivores to give their meat-free menus a go. But which of them is really hitting the mark? Which is offering foods that lure us, salivating and hopeful, to their doors? To find out, Veganuary launched The Great Big Vegan Food Survey, asking participants and supporters which was their favourite chain restaurant, and the answer, in a nutshell, is Zizzi. This Italian high-street favourite polled more than one-third of all votes cast and its popularity during Veganuary was evident in the 8,000 vegan dishes a week it sold. 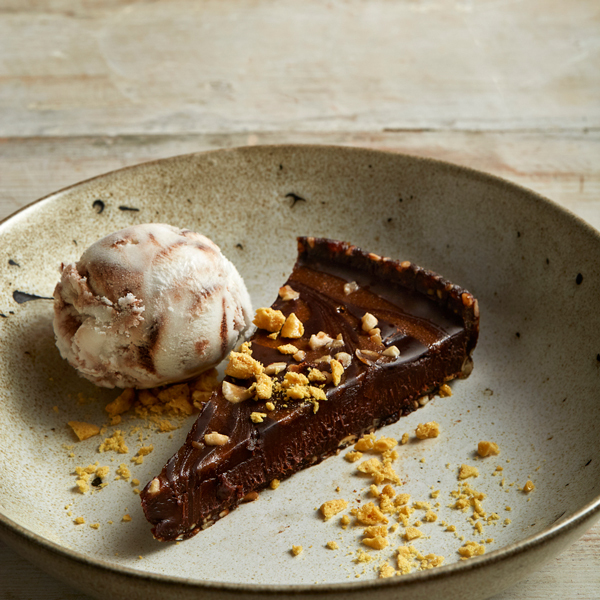 The organic, dairy-free mozzarella-style cheese that Zizzi launched in March 2016 sent vegans into a frenzy that is unlikely to abate now that the restaurant has also introduced a vegan sticky chocolate and praline torte. Zizzi really knows what vegans want (hint: not dry pizza and fruit salad) and as a result has watched vegan meal sales rise to 9,500 a week. Zizzi’s Director of Food Development, Kathryn Wilson suggests that there may be more to come. “We are continually looking to invest in new and exciting vegan options,” she says, “to allow us to offer even more variety to customers who choose a plant-based diet.” We can’t wait to see what they come up with next. The vegan nation loves pizza, that much is clear. The runner-up restaurant in Veganuary’s survey was Pizza Express, the chain that used to allow customers to bring in their own vegan cheese, but has now introduced a vegan mozzarella to top off their dedicated vegan giardiniera pizza or any other pizza of choice. Among other high-ranking eateries came Pret, the chain that has embraced its meat-free customers and created more vegetarian and vegan options than any other restaurant. Pret has gone as far as adding veggie-only fridges in dozens of locations and opening two entirely meat-free outlets, both in London, although we understand that others are planned. CEO Clive Schlee noted, “The top selling eight new products at Veggie Pret are all vegan, which either shows that vegan dishes can be just as delicious as veggie dishes, or we have underestimated how strong the vegan movement is.” It’s little wonder Pret is so popular. It has, after all, launched a vegan Mac & Greens and a vegan chocolate brownie with gooey salted caramel. Pret certainly knows the way to a vegan’s heart. The effort invested by All Bar One to support Veganuary participants as well as vegan veterans seems to have paid off. 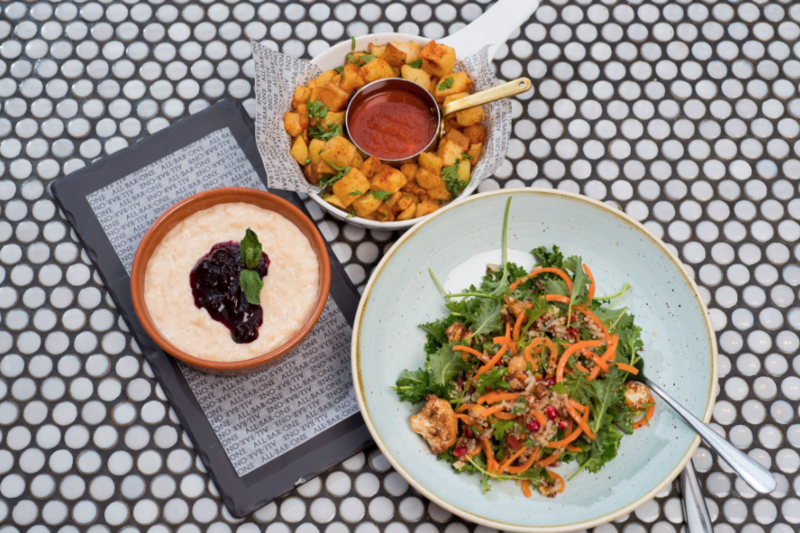 Its dedicated menu, offering a choice of three starters, mains and desserts, as well as the beautiful advertising boards outside each outlet in January, saw vegans flock in. The company got more than 500 messages across social media requesting that the vegan dishes become permanent fixtures, and it doubled the rate of sales of its vegan dishes. So committed is the company to feeding vegans that it offered 50 per cent off all vegan food during January for the last two years. 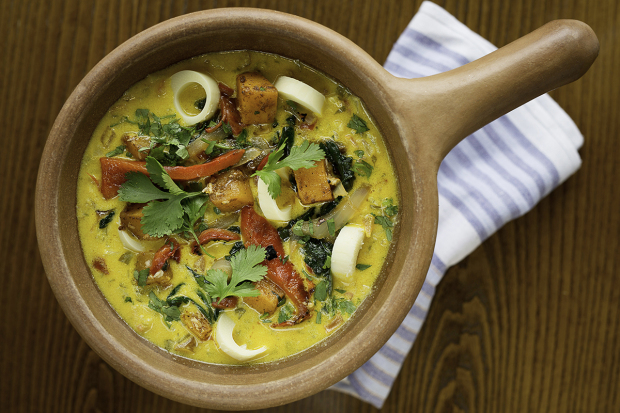 The South American restaurant and bar was also a firm favourite among Veganuary participants, being voted the fourth most popular chain restaurant. And no wonder. Its 53 outlets specialise in delicious Latin American fare, with choices on its dedicated vegetarian and vegan menu including Totopos and Chilli Sugar Snaps to start, Portobello Mushroom Fajitas and a palm heart stew for mains, with dips and refried beans and even a coconut Tembleque for dessert. Great work Las Iguanas! Wetherspoons, Leon, Prezzo and Yo! Sushi all made it into the Top 20, but what may be more surprising is that chains renowned for serving meat also featured so highly. It’s a sign of the changing times that vegans are well catered for in Toby Carvery and in chicken restaurant, Nando’s. Vegans can even find a meal in McDonald’s these days, although unsurprisingly, perhaps, this is one chain restaurant that failed to attract a single vote. Can’t wait until January 2018? You can now take part in Veganuary at any time of year – just visit www.veganuary.com to sign up for free.